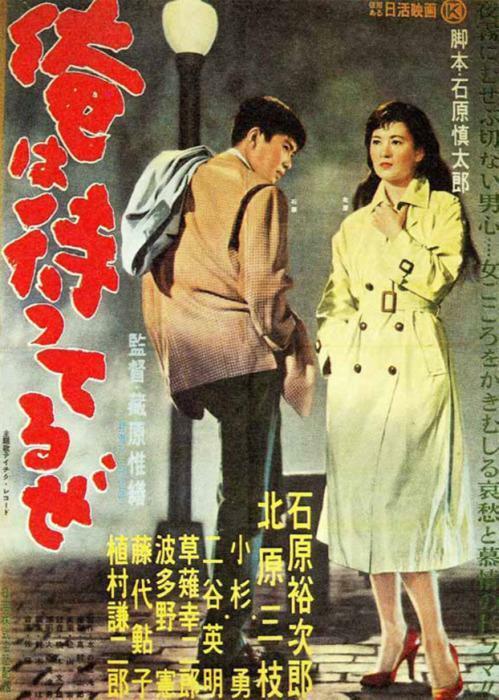 In this Japanese drama from 1957, a former boxer gets involved with a club hostess trying to escape the clutches of her gangster employer. This is a very interesting movie that stars Yujiro Ishihara, the leading man of Nikkatsu's "Diamond Line of Mighty Guys." He's also brother to novelist Shintaro Ishihara who wrote Season in the Sun among other works and originated the "Sun Tribe" fad. The Sun Tribe phenomenon was brief, but caused a big effect in the culture [PDF]. This got included in the Sun Tribe list, but it's really a straight up noir gangster movie. There's no sun and fun, no beach bonfires, bikini girls, or Hawaiian shirts. The only real nods to the genre are a short ukulele song sung by Ishihara and few people dressed in the style during a flashback. I'd say it's not so much a Japanese gangster movie as it is a gangster movie made in Japan. 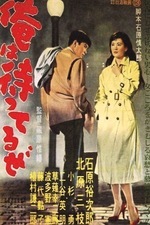 There are some brilliantly filmed scenes, especially the opening sequence where Joji walks down the street whistling. It drags a little in the middle, but the ending is pretty good. Probably a whole carton's worth of cigarettes get lit and almost immediately stubbed out. Maybe half as many get just tossed down onto the ground, even indoors. I don't think there's a single bow in this movie. Thanks for the contextual essay, ob1quixote. Being completely new to the genre, I didn't realize there was more to it tropes-wise than "Japanese youth noir." Agreed that the opening sequence is gorgeous, especially the shadow of the chain link fence scrolling across his back. As noted, a lot of the film composition is very typical noir: cutting diagonals and sharp shadows and lots of camera movement at key points (like the flashbacks). At select moments, however, the composition gets downright Ozu-like: for instance, when we first enter the Reef restaurant, the closest thing the movie has to a safe domestic space, the shot is perpendicular to the back wall, static, and chest level. Another thing, the climactic fight in the club, with its balcony and its gridded light-up floor, reminded me a whole lot of the climactic club fight in Kill Bill I.
Oh wow, I just saw the poster that IMDB supplied for this post. It's gorgeous...here's a larger image.